What Is a Distribution By Right of Representation? Say a will or trust states that a beneficiary is to take a distribution by right of representation. This refers to the lineal descendants of the person creating the will or trust. Think of it as a child standing in line to receive his or her deceased parent’s share of the estate. If the deceased beneficiary had more than one child, the children split their deceased parent’s share equally among themselves. Imagine that your loved one died leaving his entire estate to his three children, in equal shares. 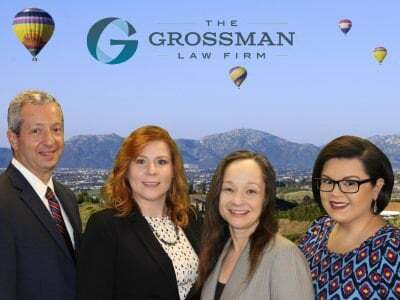 We can refer to these children as A, B, and C. The will also states that if a child has passed away before your loved one, his or her descendants will take their parent’s share by right of representation. For example, we will envision a scenario where A passed away before your loved one, but died having two children of their own. B and C are both still alive. Your loved one’s estate will be divided into three equal shares. B and C will each take their one-third share of the estate. The two children of A will step in to take their deceased parent’s share. By doing so, they will split between themselves one-third of the estate, for a total of one-sixth of the estate each. Or put another way, A’s children each get half of what would have gone to their parent. 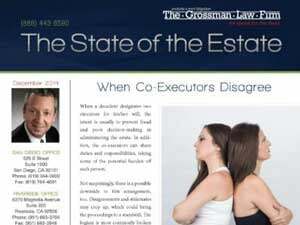 Some people choose a right of representation distribution because they want their estate to be divided equally among one generation of beneficiaries (most often, their children). Often they are not concerned about how those shares are further divided if any of the beneficiaries from the generation they are primarily focused on are no longer living. Some people do not like right of representation distributions because they view it as treating different members of the same generation in more or less favorable ways. In our example above, imagine that child B had also predeceased your loved one, leaving behind one child of his own. In that case, the children of child A would each take a one-sixth share of the estate. Child C would take a one-third share of the estate. The child of child B would also take a one-third share of the estate. As a result, your loved one’s grandchildren, the children born of child A and child B, are treated differently even though they are cousins and in the same generation. An alternative way of distributing property under a will or trust is per capita. This essentially means taking “by total head count” or “by total number of individuals.” If you are administering a will or trust that calls for per capita distributions, all of the living members of the identified group will receive an equal share. If any member of that group is deceased, a share is not created for him or her, and the surviving members of the group simply end up with a larger share of the estate. Sometimes, the will calls for distributions to be made per capita at each generation. Your loved one has three children, A, B, and C. A has two children of her own, B has one child, and C has four children. When your loved one dies, A and B have both predeceased her. C is still alive. The estate is divided into three equal shares, one each for A, B, and C. C is given one-third of the estate. The remaining two-thirds of the estate is then divided into four equal shares and split evenly between the four children of A and B combined. Each grandchild with a predeceased parent is therefore treated equally. In conclusion, keep in mind that understanding the terms in a will or trust is not always easy. 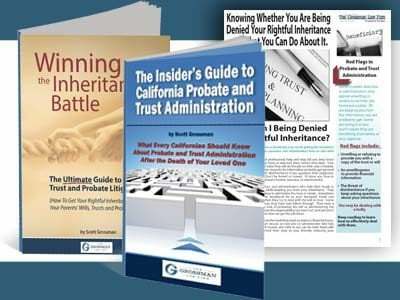 The good news for trustees and personal representatives is that you do not have to navigate the estate administration process alone. We are here to provide much needed guidance. We encourage you to contact us today at (888) 443-6590 for more information. Or, fill out our quick and easy online form so we could further assist you during this process.